This topic contains 4 replies, has 4 voices, and was last updated by Antique Frog 7 months, 1 week ago. Kinda stumped for key words, intended use. Not super valuable but I’m curious if anyone knows more about these. I didn’t see anything like them in my searches. I can’t quite tell the depth of them from your photo. 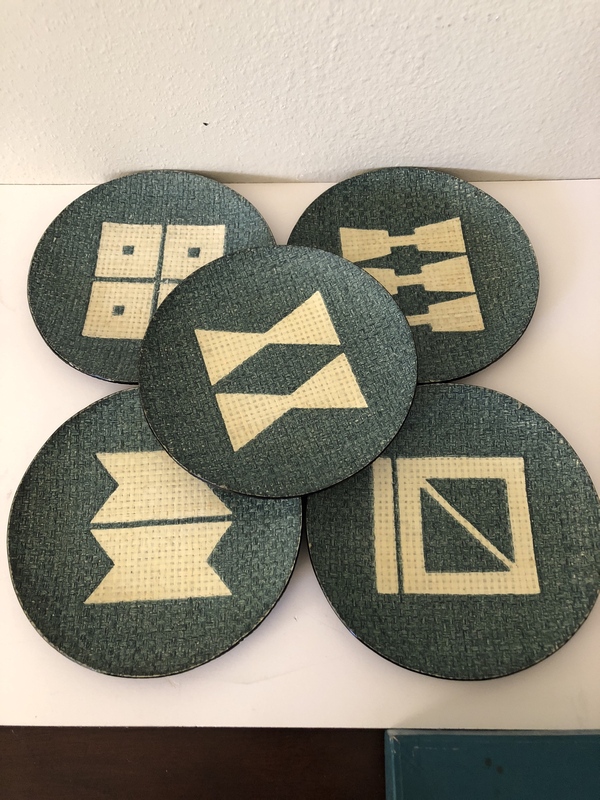 Are they perhaps coasters? Very nice looking, very modern. I would say appetizer plates, for sushi perhaps. Each would be good for a cut up roll or a few pieces of nigiri sushi. 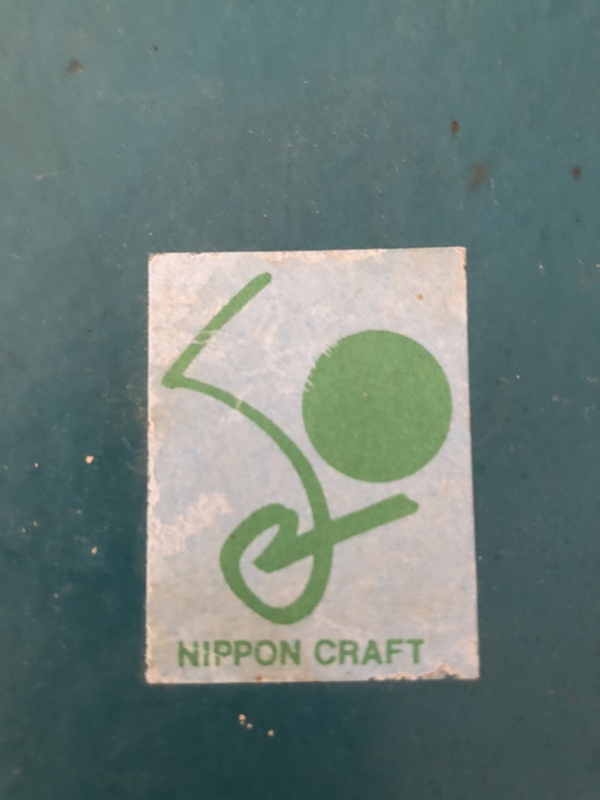 I did find a website for “Nippon Craft”. It appears to be a gift shop that carries pottery, but not a brand with that logo. Thanks! They are very shallow but rounded. Just a half inch deep. Vintage from estate sale. Split bamboo on a black lacquer base? I did find a short video from MOMA on Japanese bamboo art which showed boxes with the same kind of woven material. Not sure about the sushi bit- they don’t look like they could easily be cleaned of bits of raw fish.